Eight freshmen spent yesterday afternoon serving their sport, their school and the entire state. 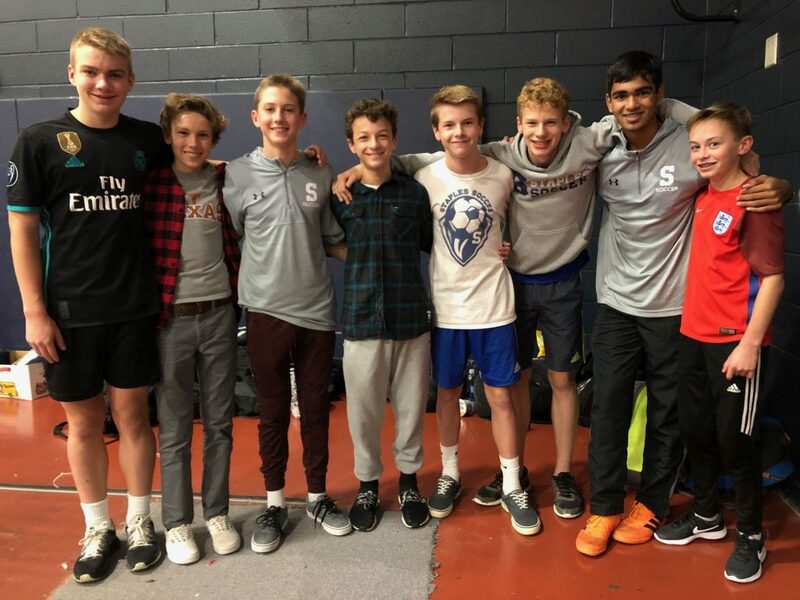 They volunteered as referees for a Connecticut Special Olympics unified soccer tournament, in the fieldhouse. Every year Staples hosts the event, which draws teenagers with disabilities from dozens of schools. Competition is keen, but smiles are evident everywhere. It was hard to tell who had more fun: the players, their helpers or the freshman officials. THANKS to Jack Foster, Bruno Guiduli, Chase Hynes, Josh McCall, Aidan Mermagen, Jaden Mueller, Ishan Prasad and Ryan Thomas for donating their time and energy to this great cause. 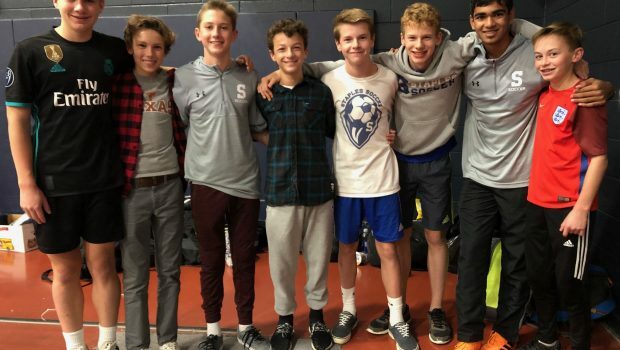 From left: Josh McColl, Jack Foster, Jaden Mueller, Chase Hynes, Ryan Thomas, Bruno Guiduli, Ishan Prasad and Aidan Mermagen. Awesome job, guys. Great to see our boys giving back to the community. We’re proud of you. Keep up the good work. Aidan: what a super thing you and your fellow soccer players have done! Friends always help friends, because that’s what friends are for. Special Olympics help those with problems know they are achieving beyond what some people think they can do. And with your help, you all contribute to their feelings of self-worth. Go go go! What super boys you all are! Keep giving, guys. By helping others you establish a pattern in life which helps you become a better person. Congratulations!! !